It started early. Our first visitors, my mom and my Mike, commented that our vernacular and inflection was changing. We were adapting to life in South Africa. It was survival. Now, after nearly 11 months living, working and playing in Pretoria, it’s like we speak a whole new language. Just ask Jenny what human-like noise hyenas make. Howzit? – One of the first pick-ups upon arrival in SA. It will undoubtedly take me another year to stop saying it. Apologies in advance, Chicago. I’ll come fetch you just now. – OK, there are so many things wrong about this phrase. First, only southerners use fetch, and my four years in Kentucky don’t qualify me. More importantly, though, is the just now part. I know what “just now” means in Africa Time (anywhere between five minutes and five hours) and I still use it. I must stop. Let’s keep an eye on it, hey? – I honestly can’t remember which of us used this one first, but I know Jenny has said it, too. The whole idea of tacking on a “hey?” is unusual … a bit Canadian. It’s hot today, neh? – This is the ebony to hey’s ivory. White people say, “hey?” and black people say, “ne?” Adjust accordingly. … and what, what, what … – A multi-purpose tool. It can mean “and whatever.” It can mean “and so on.” It can mean “and whatchamacallit.” It can mean “blah, blah, blah.” It can mean “I forgot what I was going to say.” I’m just starting to use this one more, consciously or not, so it might be with me for a while. We had a delegation from South Sudan in the office today. – Working at the Centre for Human Rights provides opportunities to meet people from countries all over the world, including the world’s newest country. Very cool. So, let’s geo-target specific users in Kenya, Tanzania, Mali and Senegal. – Creating Facebook ads may never be the same. Sorry, can’t play basketball today. The United Nations High Commissioner for Human Rights is in town. 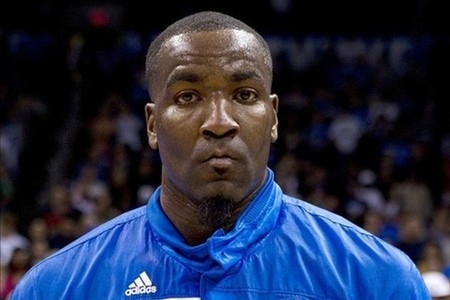 – I know I’ll never say that again … basketball should always come first. It’s in Tembisa. – I’ve said this many times. It comes up when people learn that I’ve been involved in some projects in the Ivory Park township. People have heard of Ivory Park, but often don’t know where it is, even those from Pretoria or Joburg. It’s in Tembisa. Did you see that guy at the robot with a holographic eagle poster in one hand and a bunch of USB drives in the other? – Variations of this sentence are produced weekly, at minimum. There’s always somethin’ crazy at the traffic lights. And there you have it. I’m sure there are more as we likely don’t recognize all the changes in our speech patterns. Either they’ll be with us for a while once we move back, or they’ll be washed down with the first swig of Starbucks. Let’s keep an eye on it, hey? I didn’t do anything tricky. I didn’t try to convince Jenny that we won the Mega Millions Lottery. I didn’t tell Indie that her arch nemesis, Mr. Nasty Tinkerbell, was hiding in the bushes. I didn’t even write a blog post confessing that this whole time you thought we were living in Pretoria and going on safaris we were actually living in Peoria and going to Steak ‘n Shake. OK, I did trick Indie with the cat thing. But, I didn’t do anything for April Fools’ Day this year, mostly because I was up too late with March Madness the night before. It’s a crippling disease, being a Kentucky basketball fan. I caught the bug in 1998 when we moved to Lexington and the symptoms get worse every year. Even Jenny has a mild case from time to time. Saturday night’s game started at just past midnight here in Peoria Pretoria. By the time the adrenaline wore off, my heart resumed a normal rhythm and every possible recap and analysis piece was read, it was 3:00am. Which is approximately the time the national championship game will tip off on Monday night Tuesday morning. March Madness. For real. Where did the month go? I know it began with the music of the night because I remember that Jenny and I saw a quite nice performance of “Phantom of the Opera” at the gaudy Montecasino. And, I know it ended with a performance of the Kentucky Wildcats beating Louisville in the Final Four. But the rest? Well, one of the major highlights was an all-too-short visit from Jaimie and Zach – a visit that fooled the daylights out of Indie, who seemed sure that the pack was back together again. We’ll have more of an update on that ASAP. What I want to tell you about now, though, is not the wild night of pasta making, not the multinational cocktail party, not the book launch, not the breakfast with the old gang at the guesthouse, not the exhaustive quest for a pair of real basketball shoes in a country that knows only rugby, soccer and cricket…No. Those are fine stories, but what I really want to tell you about is Boom-Boom’s party. Boom-Boom is a girl. She is now six-years-old. She has an older sister, Dimakatso (or Katso, 15), and a younger brother, Siboniso (2). The father figure in her life is a sweet man from Swaziland named Alex. Alex lives in a shack in Mamelodi with Boom-Boom, Katso, Siboniso and the children’s mother, the one and only Ephney. Of course, Boom-Boom isn’t her real name. Her real name is Vuyokazi, but she got the nickname “Boom-Boom” when she was a chubby little baby. See, “fatty boom-boom” is the not-so-nice name given to the overweight in South Africa. Even though she’s now a skinny six-year-old, the Boom-Boom moniker seems to have stuck. When Ephney told us that she was planning a party for Boom-Boom’s birthday, we were excited. Jenny had been thinking about sewing a little dress or outfit for her, and the birthday party would be the perfect occasion, and deadline, for her work. Jenny consulted with Ephney on style and color, shopped for the perfect fabrics, cut out tiny patterns on the dining room table, spent many nights hunkered over the sewing machine and had a very fun fitting session with the client one afternoon in Mamelodi. As the day approached, we coordinated with Ephney on logistics, helping to deliver payment to the municipal park where the party would be held, driving down to the central business district to fetch the giant birthday cake and making an early, day-of run out to Plasticland for additional party buckets. It was all coming together. Eventually, the party arrived at the park. Not party as in a group of people, though that is accurate enough. I mean party as in more than twenty screaming, singing, dancing kids who somehow managed to cram themselves into a 12-seat minibus. It was a sight to behold. Here were a couple dozen, excited, free township kids arriving at a public park in a white neighborhood in Pretoria. Awesome. Sure, the other kids at the park were mixed and playing well together, but this was just so fun to see. And then there was Boom-Boom. In her polka-dot top, pink stretch pants and matching headband, she was cuteness personified. Jenny’s outfit was a success. And so was the party. 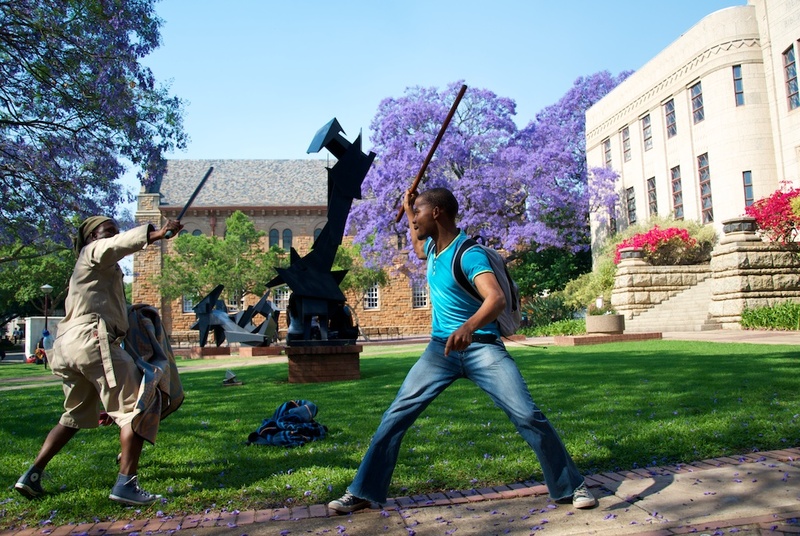 Legend has it that if a student passes under a Jacaranda tree and one of the delicate, purple blossoms floats down onto the student’s head, that student is guaranteed to pass all exams. 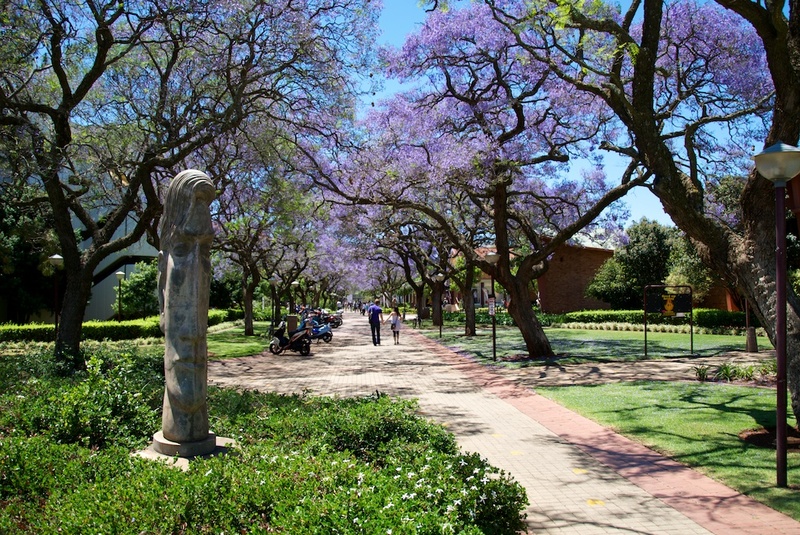 However, given that exams coincide with the end of Jacaranda season – there are so many blossoms falling on campus right now that we are all dancing in purple rain – virtually every student should pass. From where I sat as I drafted this post (on paper, initially), there was absolutely no chance of any blossom of any kind falling on my head. That’s because I drafted this post in the underground hide near a small watering hole in Pilanesberg National Park. Safari stories and photos coming soon, but for now, let’s talk trees. 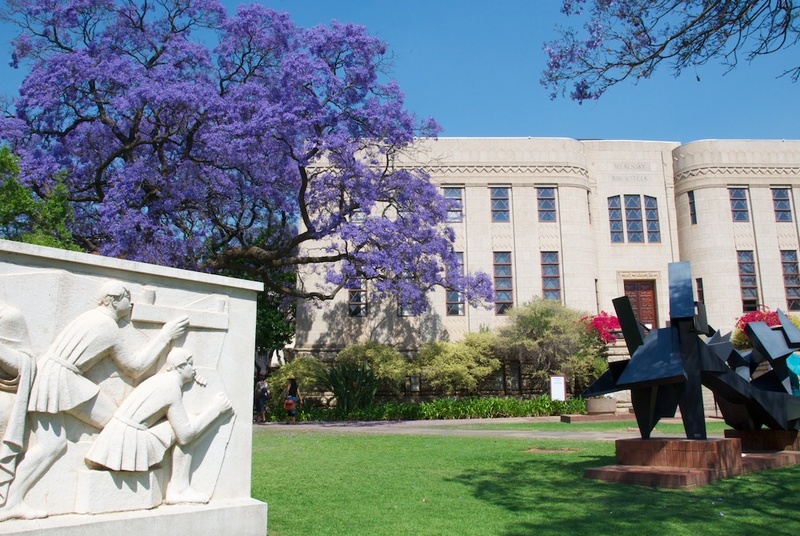 While the Jacaranda is not native to Southern Africa – it is originally from South America – you wouldn’t know it by walking around Pretoria in the springtime. 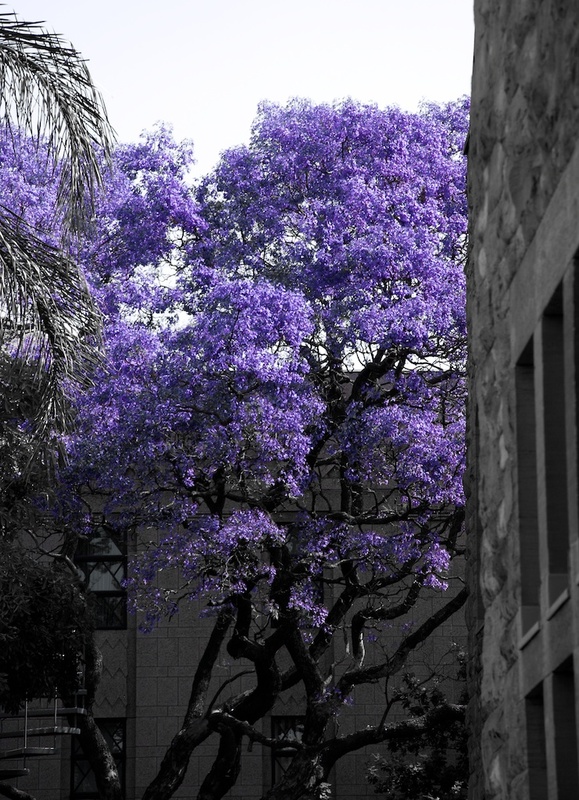 Once each of the 70,000-plus Jacarandas popped purple, it appeared as though Pretoria had been the Jacaranda City forever. 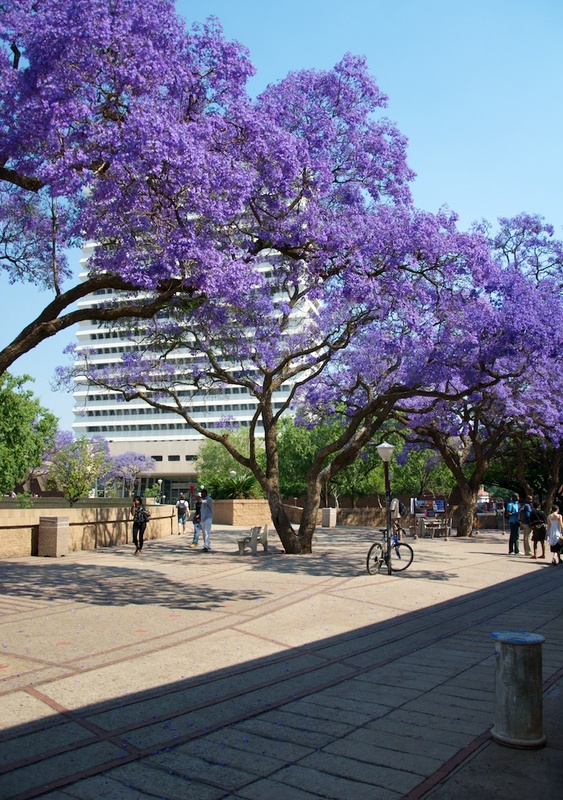 Actually, Pretoria is fairly fortunate to still be the Jacaranda City at all. See, beautiful as they are, Jacaranda trees are also extreme water hogs. 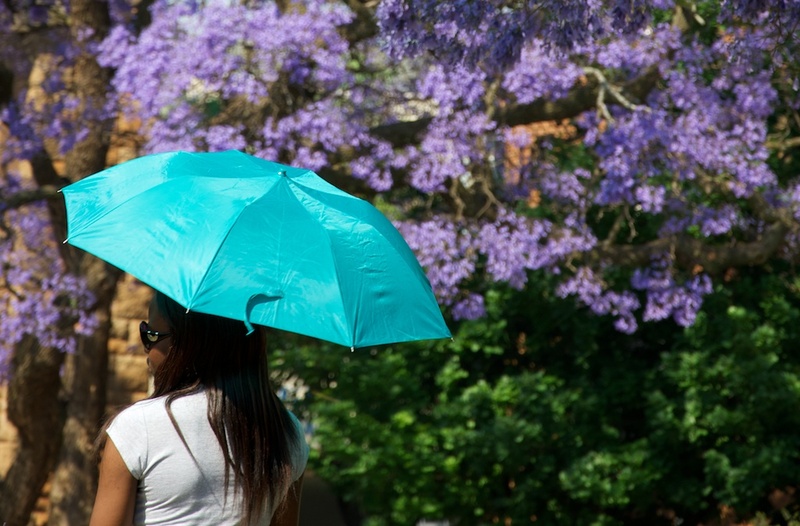 South Africa is a water-scarce country, particularly in the northern highveld, and many communities in provinces like Limpopo, Mpumalanga and Gauteng – including Johannesburg – were forced to remove the Jacarandas to conserve water. Pretoria (and most parts of Johannesburg, to be honest) was spared, and the city’s treasured trees today survive. 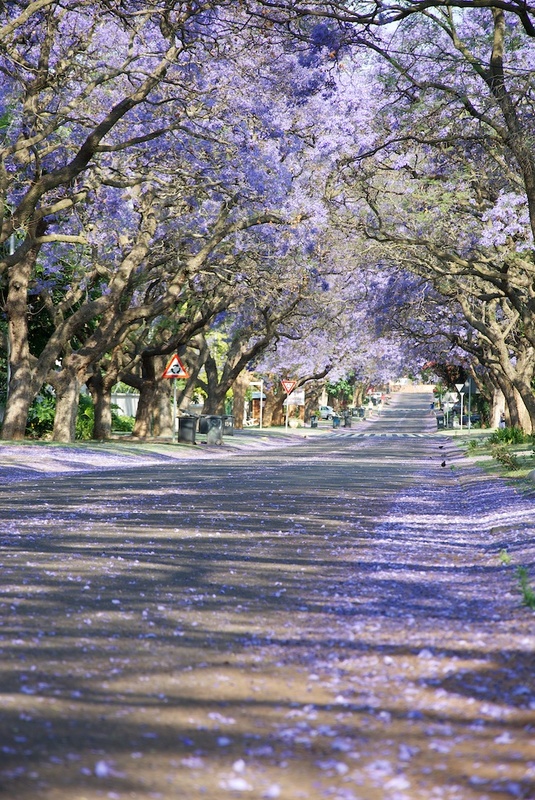 In the older sections of town, such as Brooklyn, Jacarandas line the streets of entire neighborhoods, their dark, twisty branches forming a blocks-long canopy. Early in the morning and again around 4:00pm, these streets become blanketed with a plush, purple carpet, as if the asphalt is not asphalt but a reflecting pool mirroring the arbor above. For us, and for Jenny in particular, the Jacarandas express more than just the beauty of Mother Nature, they represent the memory of sister Jackie. The flowering, flourishing and fading of the similarly named Jacarandas is a bittersweet parallel to the life of Jenny’s late sister, whose favorite color was, yes, purple. 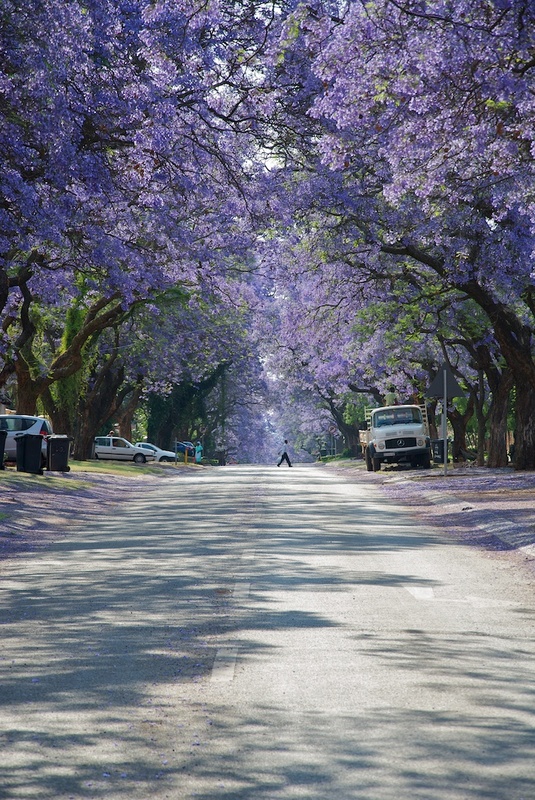 If Jackie was still with us, I think she would really like to see these photos of Pretoria’s Jacaranda trees. She’d just wonder why the heck we wanted to go all the way to South Africa to see them.